Located in the central west part of Romania, the cities of Deva and Alba-Iulia are excellent points for day trips in the wider Transylvania region. 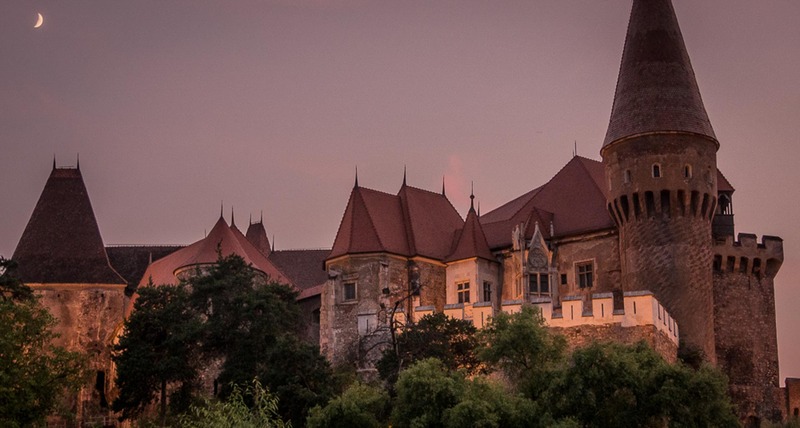 While Hunedoara County is rich in ancient fortresses dating from Dacian times and feature the mysterious “Land of Hateg”, in Sibiu County you will find the beautiful heritage of the German-Saxons with its charming towns and fortified churches and old traditions carefully passed from generation to generation. Timisoara and Cluj-Napoca are two of the liveliest and most thriving cities of Romania to visit each one with its unique history and beautiful architecture. No matter what is the direction that you choose to follow in this 1 day tour from Alba Iulia or Deva, you will find unique places and captivating things to do and see. If you want to travel to Romania, the first option in a day tour from Deva or Alba Iulia is to to discover Hunedoara County with its mysteries and picturesque natural settings. You can choose to visit 2 or 3 of the highlights of the region from the following options. Built in the 15th century, the Corvin castle is one of Transylvania’s most important Gothic architectural monuments. You will cross the long entrance bridge entering the imposing building with defensive walls and high observation towers but you will also find out the interesting legends written among its walls. Featuring an interesting mix of architecture, the Densus church is a controversial place keeping the mystery regarding its age. Some historians believe that it was built on the ruins of a Dacian temple, some that was a mausoleum of a Roman general, but what is surely known, is that it is the oldest church in Romania in which religious service is still officiated. In Romania the bison where extinct at the end of 18th century, but with the help of Podarec and Polonka, two bisons brought in 1985 from Poland, they appeared again for the first time on Romanian land at the Bison Reserve Silviut-Hateg. Over the years, more than 45 bison were born in the reserve but some of them were moved to other parts of the country where other reserves were established. The most important remains of the Dacians, the ancient inhabitants of Romania and known as “the bravest and the most honest of the Thracians” are the fortresses of the Orastie Mountains, built between the 1st century BC and the 1st century AD. The capital of the pre-Roman Dacia, Sarmizegetusa Regia is a complex of sanctuaries, the most remarkable being the Big Rounded Sanctuary and the Andesito Sun. The first one is a representation in stone of the Dacian calendar and known as the Dacian Stonehenge and the second one, a solar disc reflecting the solar character of the Dacian religion. Costesti-Cetatuie and Costesti Blidaru are part of the 5 fortresses raised as a belt of fortification around the religious, political and economic center of Dacia, the capital Sarmizegetusa. Other places of interest in Hunedoara county which you can explore in a day tour from Deva or Alba Iulia are Deva fortress, Prislop monastery, Orastie town, Sarmizegetusa Regia Ulpia Traiana (the newer capital of Dacia from Roman times), Retezat National Park, Bolii Cave, Grădiștea Muncelului-Cioclovina Natural Park, communist industrial sites in Hunedoara, Calan or Jiu Valley, Dinosaurs Geopark near Hateg. Hunedoara county is also home to some well-preserved traditional villages set in beautiful natural settings. One such area is called “Tinutul Padurenilor” or the “Land of the Forest Dwellers”. In this area people still practice traditional occupations like small scale farming, animal husbandry. They have their own traditional music and clothing which they wear on special occasions. This area is also rich in marble and there are villages where the roads, houses and even churches are built of marble. Being a mountainous region it is good for hiking and mountain biking. Another wonderful place is Fundatura Ponorului, a remote village in Gradistea Muncelului-Cioclovina Natural park. It is probably one of the most picturesque villages in the whole of Romania and because it is very difficult to access (best is to hike or bike), it is almost untouched and stuck in time. Elected European Capital of Culture in 2007, Sibiu is a charming medieval town and an important cultural center of the country thanks to many festivals and other cultural events that take place here throughout the year. You will walk though the Old Town, a place with beautiful historic buildings of German-Saxon heritage, eye-catching central squares and quiet cobbled streets. At the Village Museum from Sibiu you can learn about the old traditions and rural occupations not only from the region but from all over Romania. You will explore the open-air museum walking on the winding alleys admiring the old traditional houses and their household items. In the South of Transylvania the German-Saxon heritage remains largely untouched by modern life, showing charming towns and villages with vividly colored houses and beautiful fortified churches. In order to learn about this unique heritage you will visit Cristian village or Calnic village which is also a UNESCO World Heritage site. In rural Romania the old traditions and occupations are still kept and many of them are still practiced the same way for centuries. To gain a wider perspective of the traditional heritage, you can start with a visit to a brick-maker so you can learn how the bricks are made of clay, water and sand. Then, depending on the time that you have left you can visit a hat-maker, a tanner or a blacksmith whose work are still on high demand in the area. Another possible option for a day trip from Alba-Iulia or Deva is heading west to surprising Timisoara. The mix of beautiful architecture, unique squares and rich history makes of Timisoara one of the most interesting Romanian cities regarding its culture, also being chosen European Capital of Culture in 2021. You will explore the Old Town, formerly an important fortress, admiring the Secession palaces and the vividly colored Baroque houses. You will also learn about the oppressive communist regime and how in Timisoara the 1989 anti-communist revolution started. Cluj Napoca is a city filled with history, art and culture so you will have a walk through the center to get a glimpse of its charm. You will visit Unirii Square featuring 18th and 19th century buildings, King Matthias Corvinus birth house and St. Michael’s Church which is one of the most beautiful and important Gothic buildings in Romania. If you like plants, the Botanical Garden is where you can enjoy a nice walk admiring a large variety of flora from all over the world. The impressive Turda Salt Mine is a huge place holding an amphitheater, a Ferris wheel and even a small lake. While you breathe the healthy air you can do different activities such as playing bowling, mini-golf, table-tennis, to row a boat or to enjoy the views from the Ferris wheel. Rimetea is a beautiful Hungarian village, set in picturesque scenery at the base of the Apuseni Mountains. Walking on the unpaved streets you will be able to admire the traditional white houses with green windows and by visiting the little ethnographic museum you will learn about the rich and turbulent history of the place. If you enjoy spending time in nature you can venture crossing the Turda gorges. They were cut in limestone mountains by the action of Hasdate River and now display one of the richest and most spectacular karst landscapes in Romania. The roundtrip hike will take around 2 hours, depending on your physical condition. For more things to do in a day trip from Alba Iulia or Deva read our article Top 11 attractions in Western Romania that you must not miss. Private transfer on the above itinerary by car for 1-4 persons (Dacia Logan or similar), minivan for 5-8 persons (Renault traffic or similar), minibus for 8-19 persons (Mercedes Benz Sprinter or similar); fuel, taxes and parking fees are included. The prices are calculated for private guided tours for groups of the sizes mentioned below. If you are interested in a self-drive day trip, please let us know. Me and my group had a private day trip which was flexible in every aspect. The guide was passionate and had many detailed background stories from the area, and made sure everyone got a rich experience from the trip. 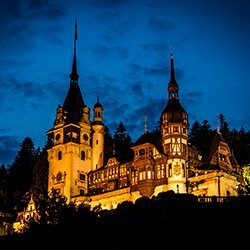 I can recommend their day tours to everyone visiting Romania. They will guarantee an experience you will not forget soon.